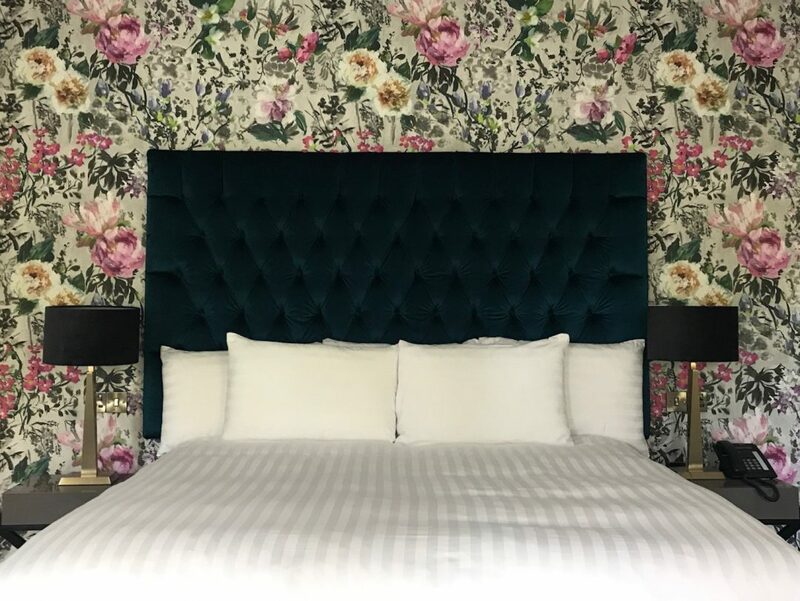 Light and spacious with a super-king/twin bed, striking Designers Guild wallpaper and an oversized emerald headboard. Steff is one of our most practical rooms, with its own private access on the ground floor along with a furnished garden terrace to while away the summer evenings! You’ll find fluffy robes in the dressing bathroom, a wet room shower, walk in wardrobe, dressing table and two stand mounted basins. This room is ideal if mobility is restricted or limited, there are just two steps to the porch entrance and lots of space to move around.